Contact Us - Black Sand Coffee Co.
Are you looking for a great way wind down your event? Invite your guests share a cup of their favorite coffee or cocoa beverage with a friend! 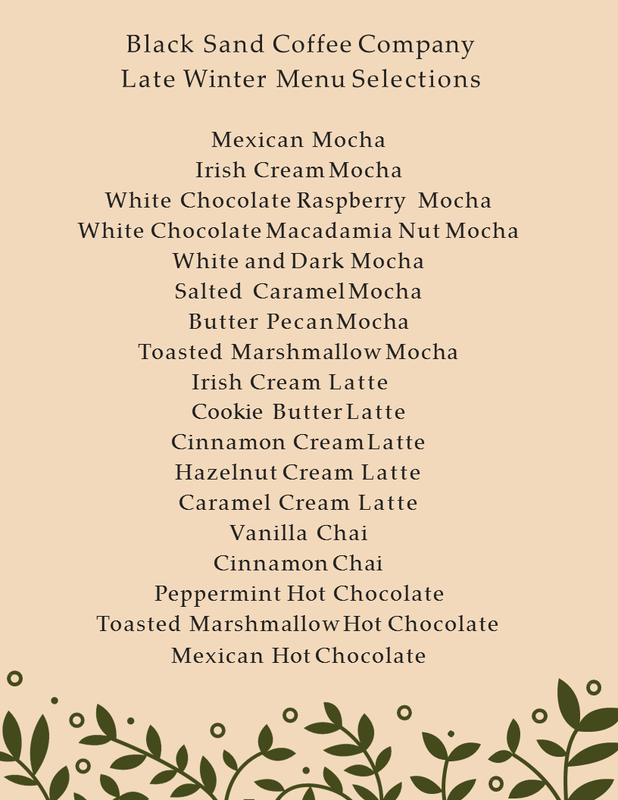 We recommend that you chose 6-7 items on the Winter Menu to create your own Custom Beverage Menu! Don't see something that you are looking for? Just Ask Us!